My world stopped when I heard those words. His heart had quit beating and I was thrown, violently, into a different dimension. When I looked down at my body where he was housed, I didn’t see the brokenness I felt. If I could have looked inside, my heart would have been in pieces. This body would have looked mangled to anyone who saw me. That’s the hard part with grief and mental illness, others can’t physically see it like a broken bone. If they did, they would understand. They could see my heart constantly bleeding out and how it’s trying to heal itself too. 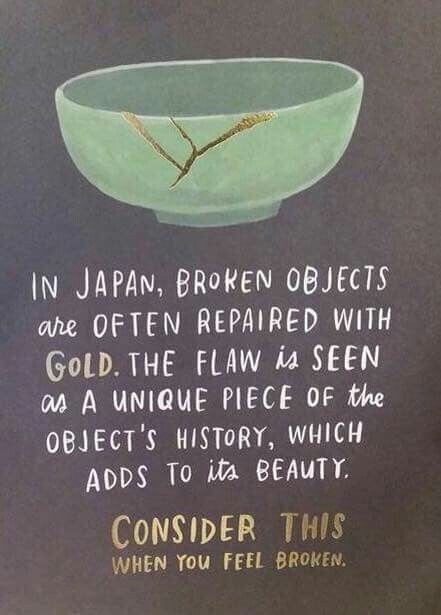 In Japan there is an art form and pottery repair called kintsugi. I’m sure you’ve seen the descriptive picture. It’s when there is broken pottery and instead of hiding it, gold powder is used to mend it. They don’t hide where the pottery is faulted, they show its beauty. In the beginning (and even now on my bad days), I didn’t think this pain and brokenness would ever amount to any beauty. How could the loss of my son be anything but horrible and ugly? The immense weight of his loss hasn’t gotten lighter by any means, but I have gradually became stronger. The pieces of my broken heart are still being put back together. Heck, there will always be a Jensen sized hole there. Yet, as they are being placed, there is something more beautiful than gold repairing my heart. The love I have for Jensen and his whole being holds and mends my heart. There isn’t bright, shiny gold, but his name and light. 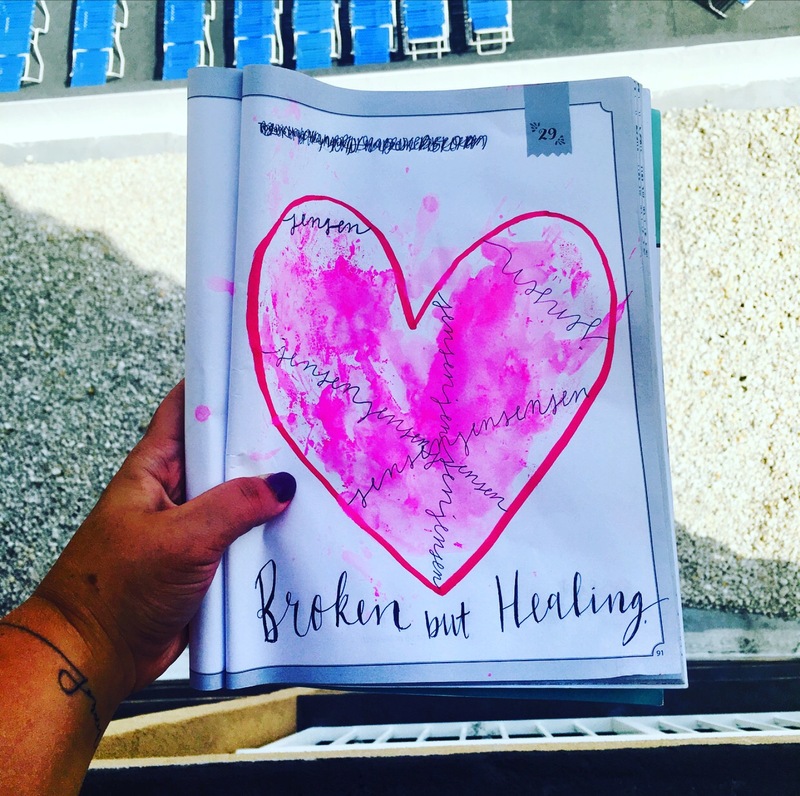 Yes, I am broken, but I’m also healing. This entry was posted in grieving, Jensen, May We All Heal, stillbirth and tagged broken, grief, Jensen, Jensen Grey, loss, loss community, love, mama grief, May We All Heal, Motherhood, MWAH2017, pain, parenthood, stillbirth, Stillborn Still Loved by danielleridgway. Bookmark the permalink.